Spleef is one of the best map genres for multiplayer games with friends or anyone you invite. The fact is that the spleef maps make you focus and be careful because the main task is to stay the last one alive. Of course, in virtually every mini-game the participant is considered the winner if he remains the only survivor except for the races. SG Spleef is four small arenas where competitions will take place. When playing the spleef you are not allowed to deal damage to players, they must fall down that is the only available way to get rid of the opponent. 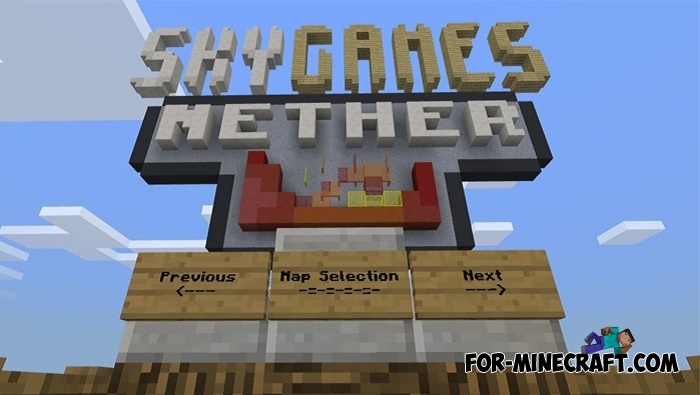 The map was created using command blocks, so keep in mind that the latest version of Minecraft PE is ideal for playing.